The Tower is a 243 metre tower located on Sheikh Zayed Road, Dubai, UAE. It has 54 stories. This skyscraper with its remarkable pyramid peak was finished in 2002 and stands next to the famous Emirates Towers. 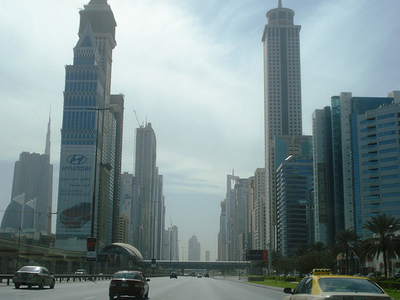 Here's the our members favorite photos of "Skyscrapers in Dubai". Upload your photo of The Tower!